You know the classic story that only 2% of shoppers convert on their first visit to an online store because the others aren’t prepared for purchasing for various reasons. They just land on your website, hopefully browse for a while, click on some products and then disappear into the unknown (that is, again hopefully, not a competitor’s website). Do you want to get them back and talk them into buying something for you? Of course you do! 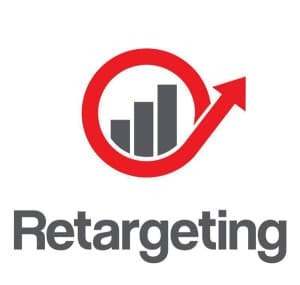 Retargeting can transform any lost opportunity into a conversion. It’s a marketing automation software that helps your products & services stay in front of visitors that left without taking any action. You just have to place a pixel on your website which tags every user. Acter studying their browsing behavior and segmenting your audience, then you can send personalized messages to every visitor, with a one-time special offer, that convinces them to return and purchase those items. People tend to have a lower attention span than ever before, so it’s a shame you lose the 98% of users to all kinds of distractions that make them leave your website without converting. It doesn’t mean they didn’t like what you had in store for them, they just didn’t have time to finish what they’ve started or just weren’t ready to buy. By retargeting them while they’re on-site with live triggers or after they leave with email and SMS triggers, you practically remind them at a more convenient time of those wonderful things you have to offer to them. And you give them a small incentive, like a discount or free shipping, that will make them think you’re ready for a commitment. That will make them feel important and they will suddenly feel the urge of returning the favor. Retargeting the right people. You can’t chase everyone with the same message, you have to customize to your audience according to browsing behavior, but also according to the specific actions the users took on your website: first-time visitors, cart abandoners, repeat customers, recent visitors or old clients. With the right message and the right timing, you can efficiently communicate with any kind of audience. Retargeting at the right time. To be sure you’re reconnecting with your previous prospects at a time that they are ready to convert you have to carefully approach them. This depends on the type of audience, but also on the type of products or services you’re advertising to them. In some cases, when you deal with cart abandoners, you may consider retargeting quickly, before they change their minds. Or when you want to go after recent visitors, go before they purchase from competitors. In other cases, you can do retargeting around special occasions: new products being launched, a special holiday promotion or service upgrading. You can also do retargeting around the dates customers usually buy their consumables or based on behavior: a recent purchase (for cross-selling or upselling) or visits to a certain product page. Retargeting with the right message. After you decide whom to target and when to do that, you need to think through the perfect message for each situation, the one that your target audience resonates most with. For this, you have to take into consideration the design, the language, the demographics, the feature (cart abandoners need to see the things they left behind, repeat customers need to see something new or something that complements their last acquisition and first time visitors need to see an incentive like a discount or no fees for transport) and the landing page. If you’re not sure which message is the most effective one, you can always try A/B testing. Retargeting is a sure thing for marketers. With this marketing automation tool, you can your increase conversion rate and reach new potential customers! 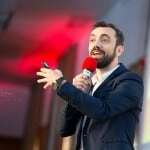 Rares Banescu is the CEO and Founder of Retargeting.Biz and has over eight years of experience in Online Marketing, especially in Email Management. He launched Retargeting.Biz in 2013, a unique tool that does retargeting from a different approach, other than the one we are used to from Facebook and Google AdWords. His software helps online stores grow their revenues through personalized and automated communication with their clients. Retargeting.Biz has now over 170 clients worldwide and generates over 2.5 million euros. This entry was posted in 'corePHP', E-Commerce and tagged e-commerce, retargeting on February 24, 2016 by Rares Banescu. yes Retargeting is very important aspect for any marketing.. i liked your post very much, each and every point is precise.. i am planning to implement retargeting in my website.